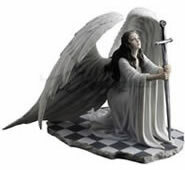 Angels are welcome spiritual messengers, providing protection, solace, and guidance from above. 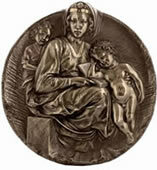 Here, these heavenly beings are reproduced in sculpture form, providing comforting reminders of faith and spirituality. At AllSculptures.com you will find a wondrous selection of angel statues and cherub statues for the garden, in weather resistant materials such as beautiful bronze and durable faux stone. For indoors, we offer exceptional cherub and angel sculptures by today’s award winning artists, as well as reproductions of classic pieces from centuries past. 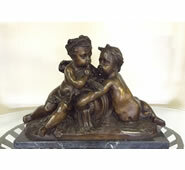 Our lovely angels and cherubs are perfect for gift giving as tokens of love and support for dear friends.